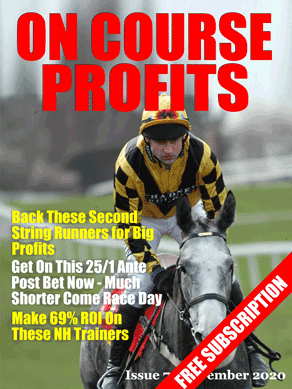 I've just downloaded a super 74 page pdf preview of the 2014 Cheltenham Festival. Easyodds.com columnist Paul Jacobs will be sharing some of his exclusive Cheltenham tips, including his best bets for each day of the festival. As a 4 time Racing Post Naps Champion tipster – he certainly knows a winner when he sees one! Matt is the head honcho of the very popular GeeGeez website and extremely knowledgeable when it comes to all things racing. Read his very detailed analysis and best bets for the RSA Chase. Find out professional gambler Scott's top ante-post tips for the 2014 Cheltenham Festival. Via his Sportsman Bank Builder service, Scott has proven to be one of our very top rated horse racing tipsters – making a consistent profit from his racing tips year-in, year-out. Top racing expert, The Value Bettor has made an ROI in excess of 30% for followers of his fully subscribed tipping service and you can read his free detailed analysis & tips for this years Champion Hurdle. Courtesy of the excellent Pounds to Punters, our 2014 Profit Pack will feature Key Trends for each and every single race this year at Cheltenham – 27 races in total! Read his analysis on the 10 years trends for each race to help you decide on the horses to back (and those not to). Also includes a special focus on Irish trained horses, which as we all know are frequently targeted for Cheltenham!